Photo of a large Humpback Whale tail - beyond the sea. When you venture out into the Atlantic Ocean you may be lucky enough to catch sight of the creatures that live beyond the sea. This was another encounter I had with a majestic acrobat of the sea, a humpback whale. 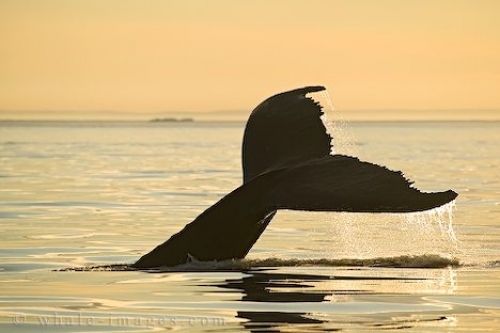 Beyond the sea, these creatures are in their own element, and this whale was just going about his daily life as the sun set to the west, off shore the Atlantic Ocean, almost "beyond the sea".